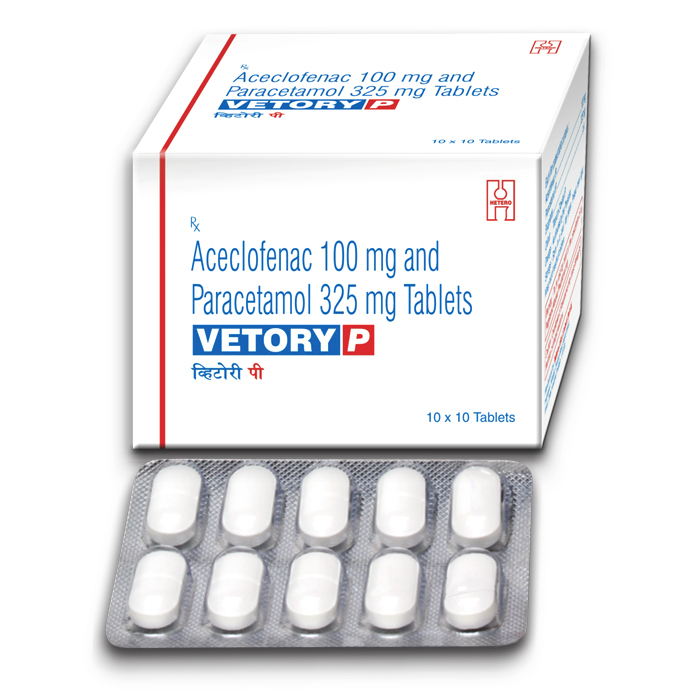 Aceclofenac belongs to a group of anti-inflammatory drugs called NSAID's. It is non selective COX1/COX2 inhibitor. It decreases the synthesis of mediators of inflammation Paracetamol is an antipyretic and analgesic drug. It exerts its analgesic action by inhibiting prostaglandin biosynthesis in the Central Nervous System (CNS) by blocking COX3. It is an antipyretic that can reduce fever by affecting hypothalamus that regulates the temperature of the body. Vetory P 100mg/500mg Tablet is used for pain relief.